Today we had some alligator tears from one of my daycare kiddos. She was missing her Momma pretty bad. And the nice thing about having an in home daycare is that we are just that. I have the time and atmosphere to be able to give the love and attention that the kids would receive in their own homes! Plans can change, and I can do what I need to make their day better. So how did we turn our day around? We got to baking of course! 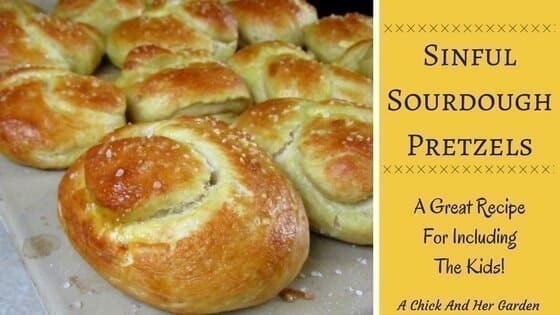 I’ve been itching to use my sourdough starter this week, so we decided to try out some homemade soft pretzels! Honestly, I didn’t have very high hopes for us. Maybe I was just having a doubtful day. But, after playing around a bit, they turned out to be amazing! So much so, that if I hadn’t boxed them up and put them away, Nick might not have been able to have any when he got home! 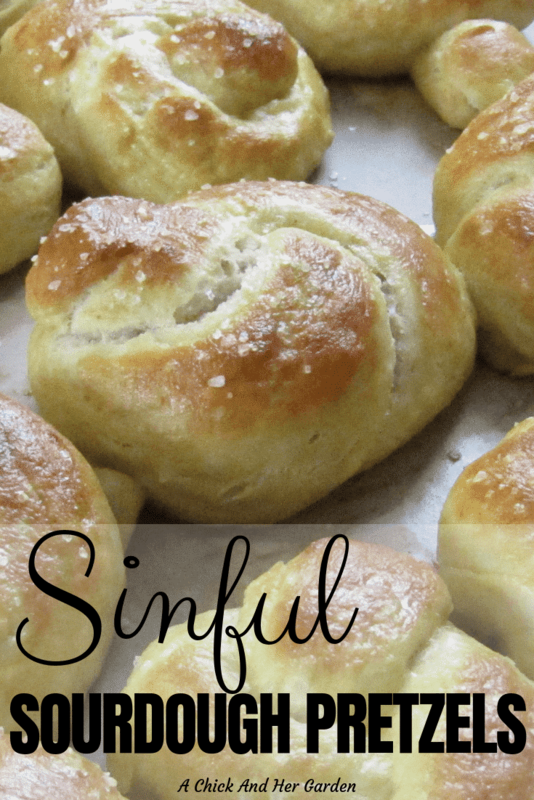 Aside from how delicious these turned out, they were extremely easy! My 4 year old cutie of an assistant was rolling these out almost as quickly as I was! Melt and dissolve butter and sugar with hot water in a mixing bowl. I used my KitchenAid Mixer. When the butter and sugar are dissolved, add your sourdough starter. Gradually mix in 3-4 cups of flour. Turn out onto a well floured surface. Knead in the flour and continue adding flour until you have a firm ball of dough. 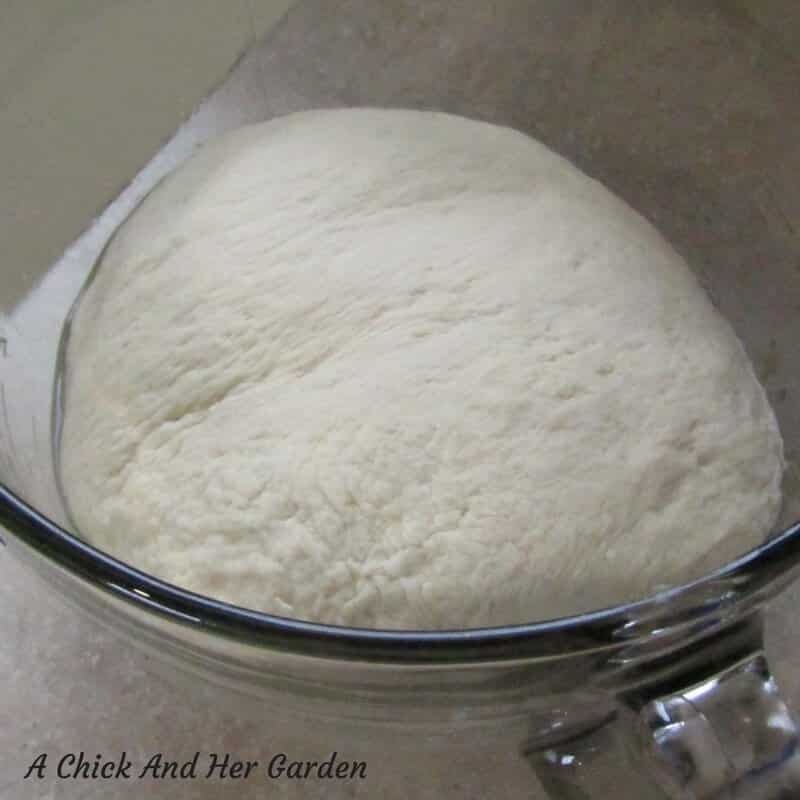 Place the dough in a well greased bowl. Put the bowl in a warm place and allow it to rise for 2 hours. After the dough has risen, preheat the oven to 450°F. Punch the dough down and turn it back out onto a floured surface. Knead a few times, and roll out into a log. Cut into 16 equal pieces. 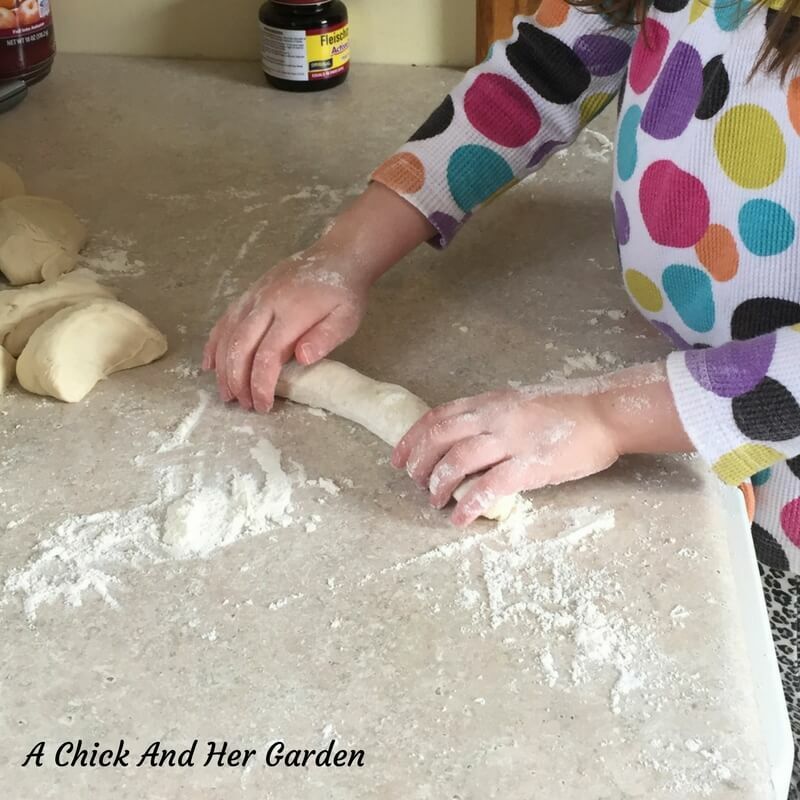 Roll each piece out (“like playdough snakes”) and tie into a pretzel shape. Boil a pot of water and add remaining sugar and baking soda. Poach each pretzel for about 1 minute. I was able to fit 3-4 in the pot at a time. Remove from the water to a wire rack to drain. Brush the tops with beaten egg and sprinkle with salt. Serve with a dipping sauce of your choice. I heard through the grapevine that there’s a hot mustard recipe in my family that I’m going to have to hunt down! Looking for more Sourdough Recipes?? Roll each piece out ("like playdough snakes") and tie into a pretzel shape. Do you have a favorite way to use sourdough starter? Tell me in the comments! I’ve made pretzels recently, but I haven’t tried it with sourdough. I can’t wait to try this recipe! Thanks for sharing on Waste Less Wednesday Blog Hop! I’m so glad you liked them! They’re one of my husband’s favorites! I use stoneware for all of my baking, which seasons like cast iron. Would Parchment paper maybe work better? I love this recipe! I have made them three times and each time they were even better than the last. I am new to baking with sourdough, but this recipe was perfect. I make mine in a Kitchen Aid mixer, which makes it super easy. I use stoneware to bake them on and they turn out amazing. Great way to use up discard starter, too! is there a rise between the punching down, the first time and shaping and the dunking in the water? You forgot to put the cooking temperature on the recipe card. These are amazing! I doubled the recipe for my large crew. A huge hit! Great way to use up my abundant starter. Thank you!